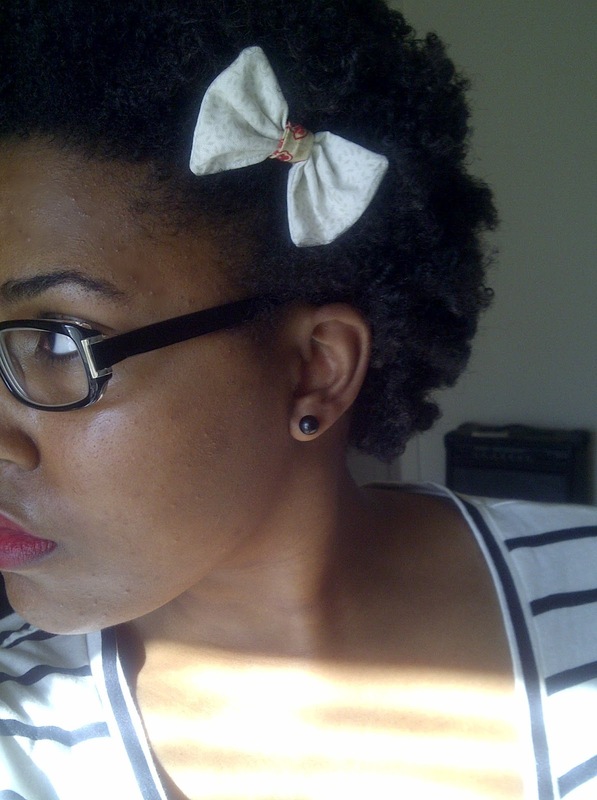 I got a lot of positive reception on my hair bow from my “twit pic” post, so I’m showing y’all one way I like to make my favorite accessory. 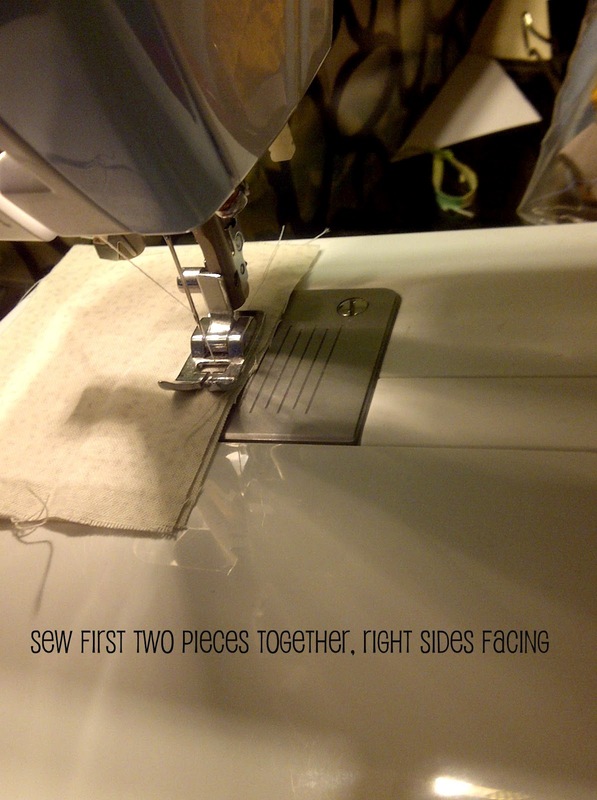 I like to sew 1/4″ away from the border, starting in the middle of one of the longer sides. You have to turn the fabric inside out, so you’ll want to keep a one inch opening when you get back to your starting point. 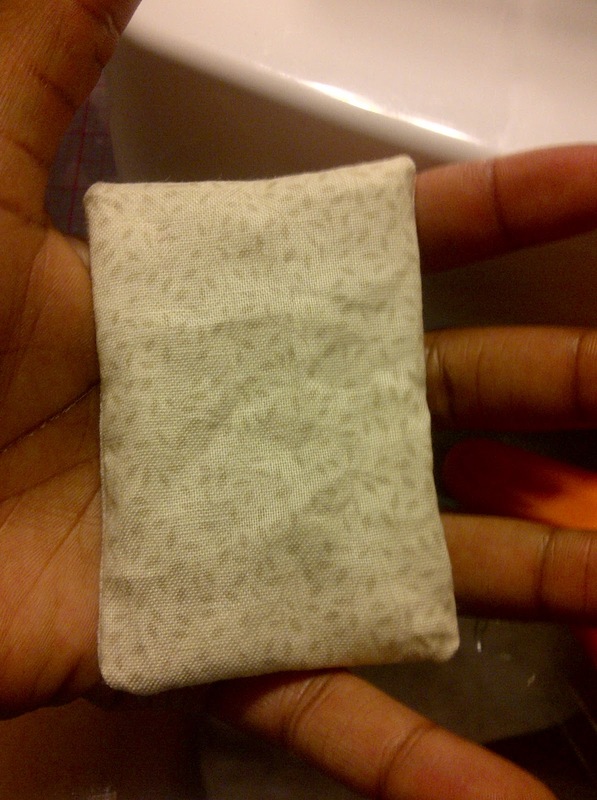 See how I’m able to fit two fingertips in the opening? Close the opening with a slip stitch, or you can use a straight stitch along the top if you don’t mind seeing some thread. 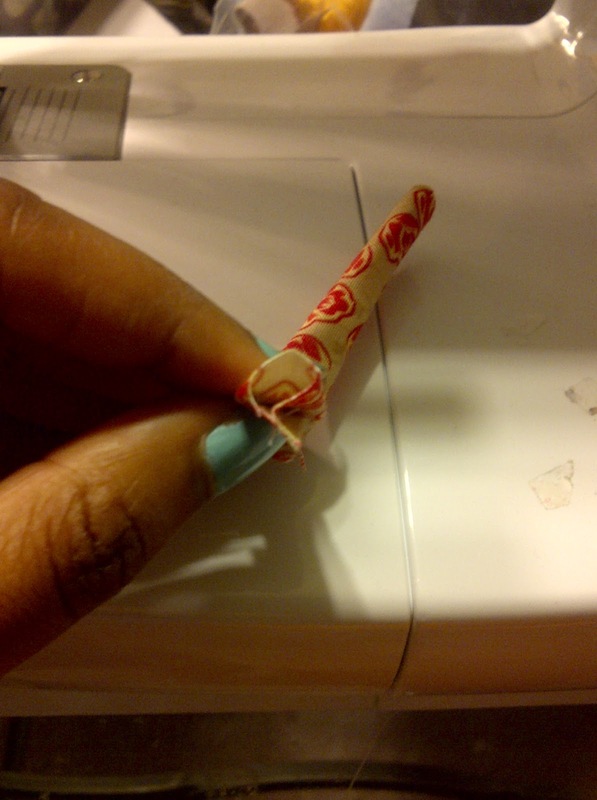 Fold the other piece of fabric in half and sew it into a tube. 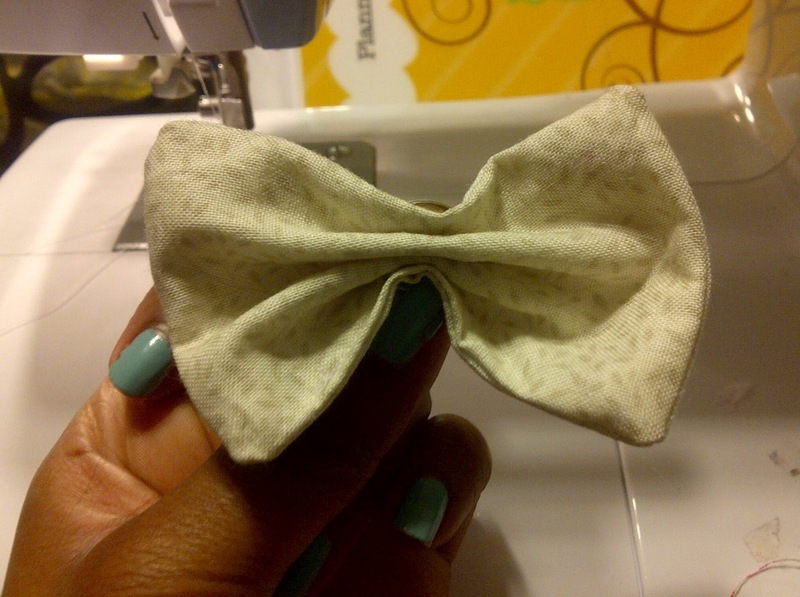 Pull the fabric “in” at the middle to form the bow shape. 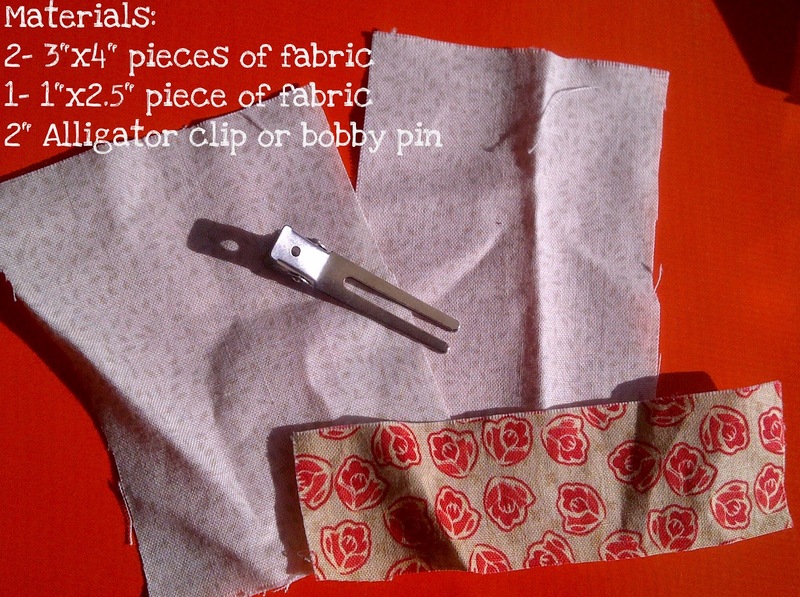 Wrap the tubular fabric around the bow once. 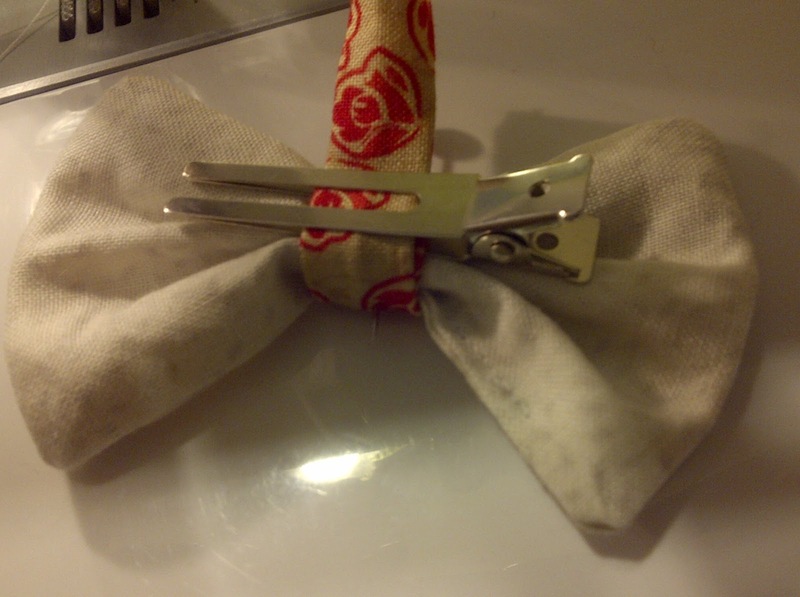 Add your alligator clip or bobby pin. Wrap the tube around once more. 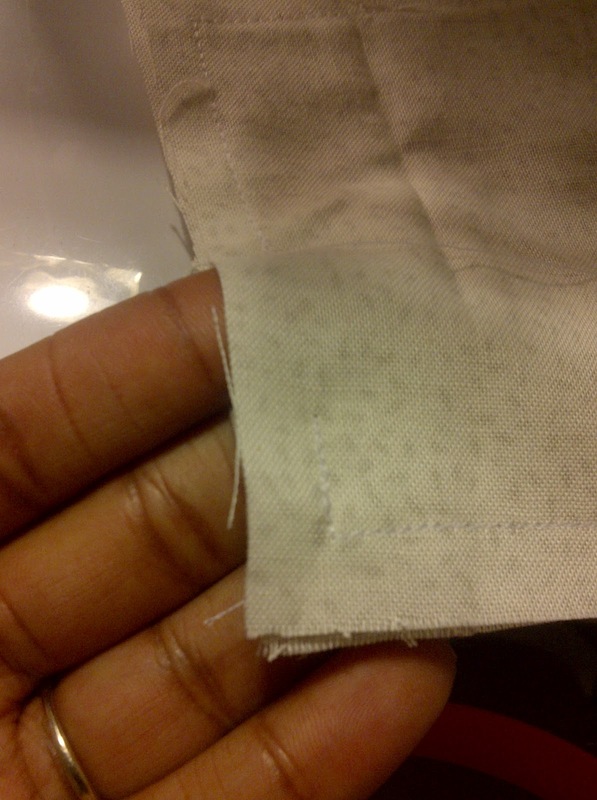 Secure the back with fabric glue or a series of small stitches. If you have any questions, comment below or shoot me an email. 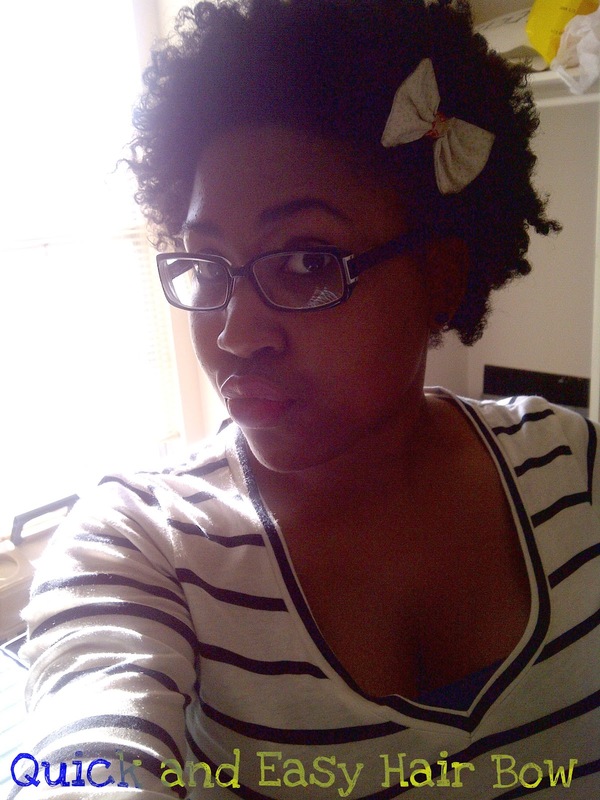 Just dropping by from Hollie's #FF. Very cute! But your hair is über cute too!! What i don't understood is in truth how you are now not actually a lot more smartly-appreciated than you might be now. You're so intelligent. You already know thus considerably on the subject of this subject, produced me personally consider it from a lot of various angles. Its like men and women don't seem to be involved except it's something to accomplish with Lady gaga! Your personal stuffs great. Always care for it up! Adorable! This would be so cute on a baby headband too!! !